Cheeky Monkeys shops are located in Lincoln and Retford. 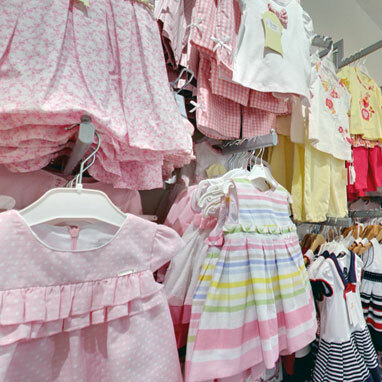 Our selection of designer brands, gorgeous clothing ranges, shoes, toys and gifts are perfect for children aged 0 to 14 years and have been hand picked to offer both style and value for money. 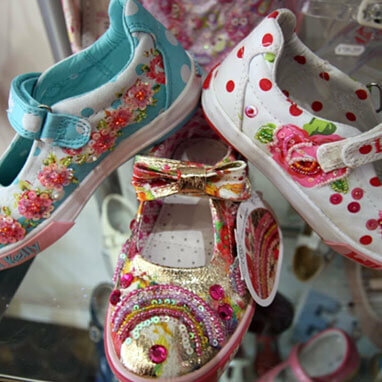 We have a fabulous range of designer and fashion clothing, as well as a wide range of gift ideas and accessories for all occasions and ages, plus a footwear department that offers everything from party shoes to school shoes and if you visit one of our shops, our friendly team will be glad to professionally fit your shoes for you. At Cheeky Monkeys, we love what we do. Our aim is to give the very best customer service. As an independent store, we aren't dictated to or set sales targets for today. We take a pride in helping parents and children today and in the future. Happy customers continue to remind us what we do and why. Girls (2-14 years) | Gorgeous clothes from great fashion brands including Andanines, Boutique, Carlomagno, Coco, Ecco, Frugi, Geox, Hatley, Joules, Lelli Kelly, Mayoral, Mini Melissa, Pretty Originals, Sarah Louise, Satila and Start Rite. Boys (2-14 years) | Great selection of boys clothes and shoes from Carlomagno, Coco, Ecco, Frugi, Geox, Hatley, Joules, Mayoral, Pretty Originals, Sarah Louise, Satila and Start Rite. Baby (0-2 years) | We have a lovely babywear range from Andanines, Beatrix Potter, Boutique, Carlomagno, Coco, Ecco, Frugi, Geox, Hatley, Jellycat, Joules, Lelli Kelly, Mayoral, Mini Melissa, Orange Tree Toys, Orchard Toys, Pretty Originals, Sarah Louise, Satila and Start Rite. Shoes | Great quality shoes from Andanines, Mini Melissa, Lelli Kelly, Geox, Ecco, Start Rite, Hatley wellington boots, Pretty Originals, Start Rite, and Joules. 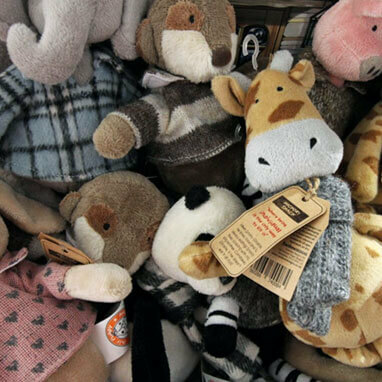 Toys and Gifts | Lovely toys and gifts from Beatrix Potter, Orchard Toys, Jellycat, Rachel Ellen and Orange Tree Toys. We love what we do and involve our team in all aspects of the shop, from selecting styles and ranges for the new seasons collections, to delivering children's fashion shows as well as ensuring we have full knowledge of our stock, how the brands vary with fit and fully trained shoe fitters.